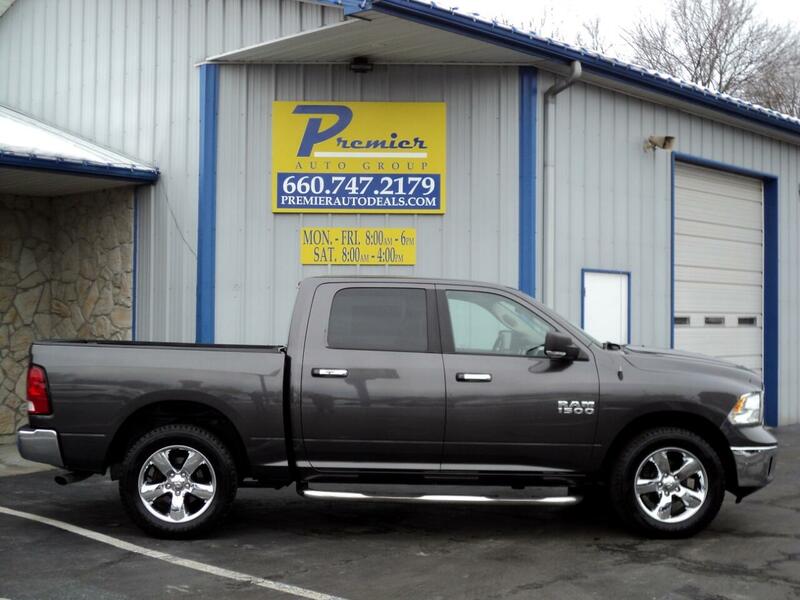 BIG HORN!...4-WHEEL DRIVE!...CARFAX CERTIFIED!...EXCELLENT CONDITION!...REMAINING FACTORY WARRANTY!...This Ram is in excellent condition inside and out! We have completely serviced it including a fresh oil & filter change, a Missouri safety inspection, and a thorough mechanical inspection. It runs & drives great, and every single feature is in proper working order. NO SQUEAKS, NO RATTLES, AND NO ODORS!! The manufacturer's bumper-to-bumper warranty has expired, however the manufacturer's drivetrain warranty is still in effect and will remain so until 10/22/2020 or 100,000 miles on the odometer, (whichever comes first). A CARFAX vehicle history report is included, and according to CARFAX, the vehicle has never been wrecked or damaged in any way. This is a fantastic truck and we're quite certain it won't disappoint anyone!! Do you need financing? Our finance options are quick, easy, and usually take less than 30 minutes. Come see us today......you'll be glad you did! !..............TWO SETS OF KEYS ARE INCLUDED.